Shares of the world's largest sportswear maker have gained nearly 19 percent this year, as investors cheered its "Consumer Direct Offense" strategy that includes a focus on online sales, new launches and supply chain improvements to bring fresh products to shelves faster. The company has launched timed, limited-edition sales on its app, often in collaboration with celebrities and athletes, called "drops," generating hype around its brands, especially with its Jordan line of basketball shoes. The efforts, however, fell short of analysts' elevated expectations. North America sales rose 7 percent to $3.81 billion (2.92 billion pounds) in the third quarter, falling short of estimates of $3.87 billion, according to IBES data from Refinitiv. "While it's not very clear what caused the domestic weakness, it's possible that the news of what happened with the Duke University player's shoe had a short-term negative impact," said Kian Salehizadeh, a senior analyst at investment firm Blockforce Capital. "Converse is losing out to brands like Vans, while Nike seems to be focusing more on the growth of its Jordan business," Jane Hali & Associates analyst Jessica Ramirez told Reuters. Nike said it expects low single-digit reported revenue growth in the current quarter, compared to analysts' estimates of a 6.1 percent rise. 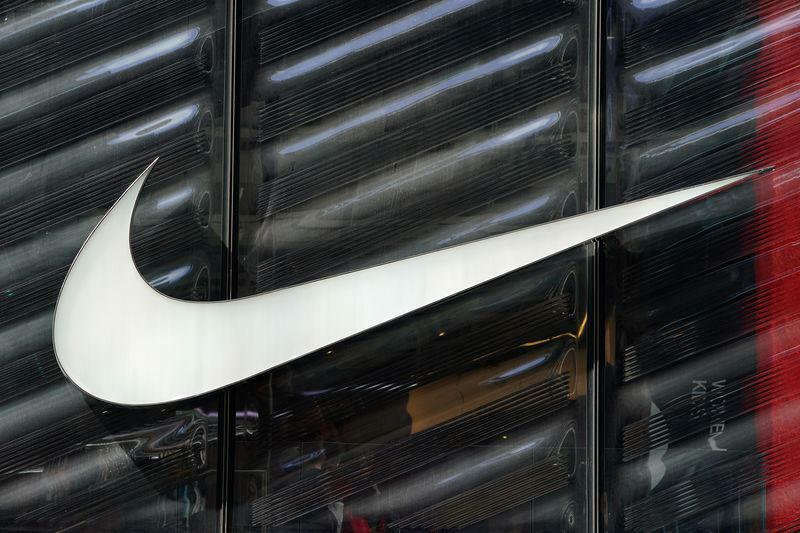 Nike's total revenue increased 7 percent to $9.61 billion, in line with analysts' average estimate.